t all began with Charlie Zhang, a Chinese immigrant who arrived in the U.S. in 1982. One day, Charlie had an idea: maybe he could open a restaurant that satisfied the American taste for flavorful Chinese food that was fast and wok'd to order with fresh ingredients. Thus, the first Pick Up Stix restaurant was opened in 1989 in Rancho Santa Margarita, California. Cream cheese blended with green onions and diced water chestnuts in a crisp wonton. A sweet, tangy citrus delight. Delicious crispy Egg Rolls filled with chicken, carrots, green onions, cabbage, and noodles. Any 2 Entrees, 1 order of Rice, 4 Cream Cheese Wontons, 4 Crispy Dumplings, and Steamed White or Brown Rice, 4 hand dipped chocolate fortune cookies. Substitute your favorites! Sub any beef item for any chicken item for $0.99. Sub any beef or chicken item for shrimp for $1.99. Wontons, shrimp, white chicken and vegetables. A caramelized sauce of white wine, garlic, and soy with green onions. Crispy wrap filled with tender vegetables. Dumplings with chicken and vegetables. Crispy white chicken in a sweet honey sauce. Gluten Free - White chicken with fresh green beans, red peppers, carrots, white onion and broccoli in our creamy Thai coconut curry. White chicken with freshly wok'd garlic, sweet black sauce and crisp vegetables. White chicken with fresh green beans, red peppers, carrots, white onions and broccoli in our sweet red chili sauce. White chicken with vegetables in a white wine sauce. Gluten Free - Tender grilled chicken tossed in our sweet & savory bourbon sauce. Grilled chicken, broccoli and carrots in a sweet soy teriyaki sauce. Fresh oranges slices, red chili peppers and water chestnuts in a sweet orange sauce. Starts sweet, finishes with a spicy kick! A blazing sauce of seared chilies, peanuts and vegetables. Crispy white chicken with vegetables and pineapple in a sweet & sour sauce. Rich mild soy and garlic with white and green onions over crispy rice noodles. Freshly wok'd garlic, sweet black sauce and crisp vegetables. Fresh green beans, red peppers, carrots, white onions and broccoli in our sweet red chili sauce. Succulent shrimp with vegetables in a white wine sauce. Crispy tofu in a sweet honey sauce. A caramelized sauce of white wine, garlic and soy with green onions. Fresh orange slices, red chili peppers, and water chestnuts in a sweet orange sauce. Fresh green beans, red peppers, matchstick carrots and yellow onions in a flavorful, fiery sweet garlic-chili sauce. Gluten Free - Vegetables and pineapple in a sweet & sour sauce. Fresh green beans, red peppers, carrots, white onions and broccoli in our creamy Thai coconut curry. An array of vegetables freshly wok'd in a sweet soy sauce. Contains chicken stock. An array of vegetables freshly wok'd in white wine sauce. Contains chicken stock. Crisp lettuce with minced chicken and vegetables. Dumplings with chicken and vegetables steamed to perfection. Gluten Free - Soybeans steamed until tender and perfect. Grilled Teriyaki Salmon with wok tossed fresh red peppers, carrots, broccoli, green beans and onions. Grilled Alaskan salmon on organic spring mix, romaine and iceberg, with carrots, red peppers, cilantro, green onions, sesame seeds, quinoa and slivered almonds, served with a sweet Asian vinaigrette. Grilled Alaskan salmon over a bed of organic spring mix, romaine and iceberg, carrots, mandarin oranges, cilantro,green onions, sesame seeds and wonton strips with our Signature Honey Ginger dressing. Fresh green beans, red peppers, matchstick carrots and yellow onions in a flavorful, fiery sweet garlic-chili sauce tossed in tender wide rice noodles. Garlic soy sauce with carrots and broccoli. Tofu and vegetables in a white wine sauce. Contains chicken stock. Perfectly seasoned fried rice with egg, bean sprouts, carrots, onions and peas. Includes chicken, beef & shrimp. Gluten Free - Rice noodles in our tangy Pad Thai sauce with green onions, carrots, egg, peanuts and bean sprouts. Tender noodles with onions, cabbage, celery, carrots and bean sprouts in a sweet black sauce. All Kid's Meals served with steamed rice, Mandarin oranges and a beverage. For kids 12 and under. Crispy Chicken pieces in a sweet honey sauce. Crispy White Meat Chicken pieces served with Sweet & Sour Sauce. Chicken in a caramelized sauce of garlic and soy. A definite crowd pleaser. Our Chocolate Covered Fortune Cookies are hand dipped in rich chocolate. 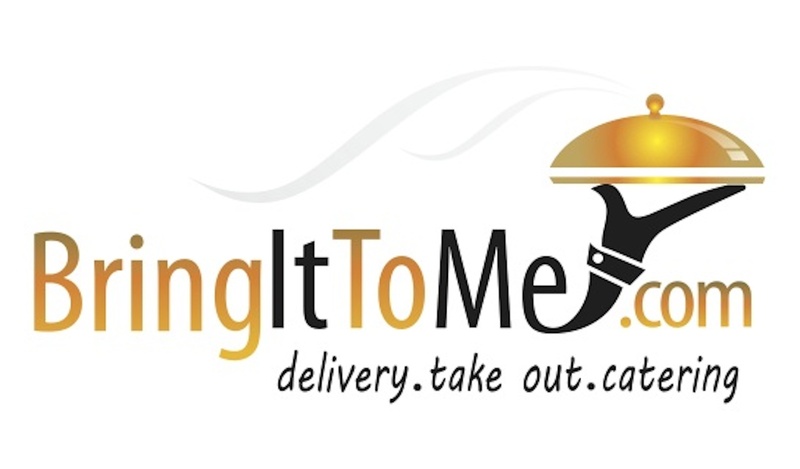 Bring It To Me is a restaurant marketing service that coordinates delivery from San Diego's most popular restaurants. We make it convenient for you to get what you want, when you want it!